Starting at $4,495.00 with Free Shipping! 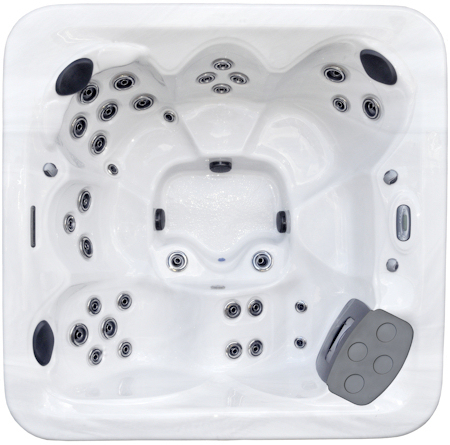 For a substitute model with even more features and an even lower price please take a look at the Legend Series from Viking Spas. Dimensions 83.5" by 83.5" by 35"